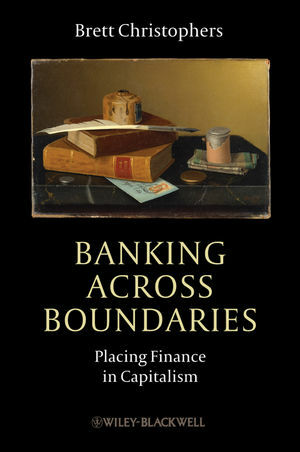 This month we’ve a new title coming out in the Antipode Book Series – Brett Christophers’ Banking Across Boundaries: Placing Finance in Capitalism. Beginning with the assertion that critiques of the banking industry’s economic productiveness are manifestations of a problematic duality that imposes socially constructed oppositions between productive and non-productive and ‘real’ and financial economies, Banking Across Boundaries offers a unique synthesis of theoretical approaches to relate two historical narratives. It details the processes by which Western banking has internationalised, and analyses how representations of the banking sector’s ‘productiveness’, or otherwise, have taken different forms throughout the evolution of Western economic theory, mutating in tandem with the latter’s development. Examining the relationship between these two narratives, Brett sheds light on how we, as a society, ‘place’ finance conceptually; on how banks, as economic institutions, have ‘placed’ themselves geographically; and on how these two modes of placement have become increasingly intertwined. In the process, the book illuminates not only how economic ideas ‘perform’ and shape the economic world, but how those ideas are themselves always products of particular economic realities. This original contribution to the perennial debate over the financial services industry will be read with added urgency by scholars spurred on in their analyses by the contemporary financial crisis. Chapter one is available to read, free of charge, online now. There’s an excellent (and open access) review symposium in Environment and Planning A (2014, volume 46, issue 1, pages 241–261). 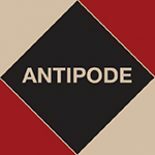 Organised by the Antipode Foundation’s very own Jamie Peck, and with a response from Brett Christophers, there are contributions from economic sociologist Fred Block, political scientist Mark Blyth, and geographer Ewald Engelen (who has a paper forthcoming in Antipode). This entry was posted on 12 February 2013 by Antipode Editorial Office in Other and tagged Antipode Book Series, banking, Banking Across Boundaries, Banking Across Boundaries: Placing Finance in Capitalism, banks, Brett Christophers, Capitalism, Economics, finance, financial crisis, financial institutions, financial services industry, Placing Finance in Capitalism, political economy, productivity, the economy.